Beverage package designs aim to move, motivate and resonate with consumers on deeper levels. By Tom Egan, Vice President, Industry Services, PMMI, The Association for Packaging and Processing Technologies. Thirst may be the first reason a consumer reaches for a beverage, but it’s the packaging that may seal the deal at the point of purchase. Increasingly, beverage manufacturers are looking to captivate customers with packaging that offers some form of personal resonance through referencing a lifestyle choice, a fond memory or an important goal. For example, packaging that sparks memories of a favourite vacation or reinforces the value of a healthy lifestyle can prompt engagement in the product experience by encouraging workouts before the product is consumed. With the growing market, manufacturers are in a race to capture the hearts, minds and loyalty of consumers. 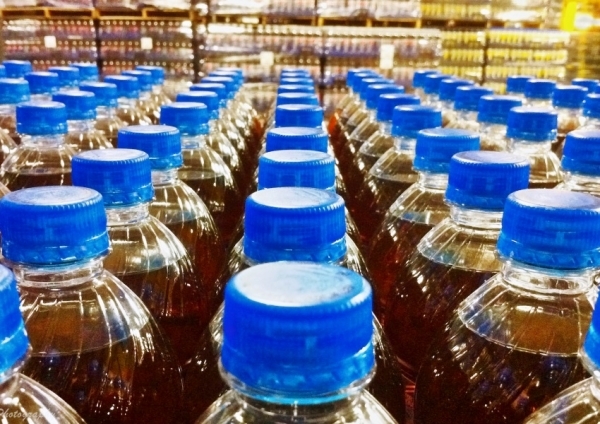 Currently worth USD $30.1 billion, the beverage packaging industry is expected to experience 4.5 percent growth in the next decade, according to the 2018 Beverage Trends in Packaging and Processing Operations by PMMI, The Association for Packaging and Processing Technologies. In today’s competitive landscape for beverage products, more brands are taking bolder steps to amplify the essence of what’s inside on the outside by utilizing the power of print effects. Consumers today are more likely to reach for a drink when they resonate with the packaging. Emotional connections can influence the decision to purchase a product as consumers are likely to choose beverages that feel familiar or strike a chord of nostalgia. Consider the “Share a Coke” campaign from Coca-Cola, which created a way to attract consumers by labelling the bottle with their names. This campaign strengthened customer loyalty and created buzz around the brand. Creating this kind of label variety was no small feat but advancements in printing technologies made the campaign possible. According to Label & Narrow Web, to run labels that pulled from a list of about 250 names, Coca-Cola tapped a domestic label and packaging converter company, which coordinated with printers equipped with HP Indigo digital printing technology to get the job done. With this technology, the varied labels could be done on short runs and still reflect high-quality printing. On an international scale, according to Africa-based magazine PACKAGiNG & Print Media, Coca-Cola repeated this collaboration with converters and partner printers to create thousands of names in multiple languages. Some international printers utilized flexographic printing as opposed to digital printing, so careful colour matching was done in order to achieve the same “Coke Red” shade across different types of printers. Some brands have found another way to speak to customers with a similar level of intimacy or personalization. Whiskey brands Jack Daniels and Johnnie Walker are actively pursuing different segments of the market and looking to expand their reach with a range of tailored products. Jack Daniel’s Gentleman Jack whiskey aims to associate fine whiskey with a premium sipping experience in the market. 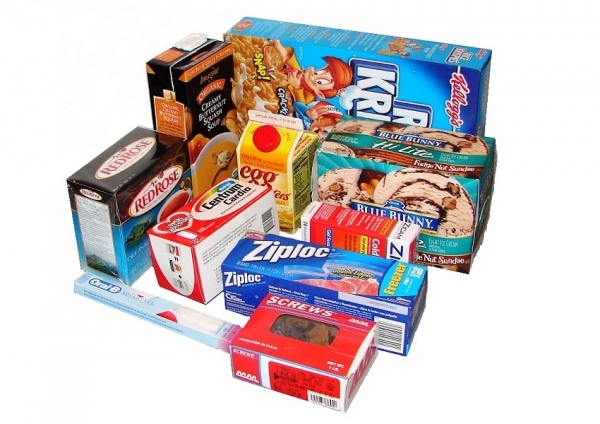 According to PMMI’s report, unique packaging differentiates premium brands from value brands. Hence, mid-tier brands are now using packaging to emulate the look of top-shelf brands. Jack Daniels attempted to appeal to consumers who value finer details by featuring a metalized label resembling a stamped silver plate with its Gentleman Jack edition instead of the traditional paper label. Some craft spirits are turning to technologies that use tinted glass and other tactile labels to creates a more sophisticated, expensive look. Johnnie Walker recently created “Jane Walker,” a special-edition iteration of their Black Label product, to appeal to the female demographic who do not drink. To substantiate the message, Johnnie Walker is donating proceeds of each bottle of the Jane Walker Edition sold to organizations supporting women’s progress. Personalization may not be the only key to sales. With a large demand for products that support healthy, active and clean lifestyles, more beverage manufacturers are producing drinks that come in smaller cans with fewer calories. This indicates a departure from decades of oversized servings to the idea of portion control. 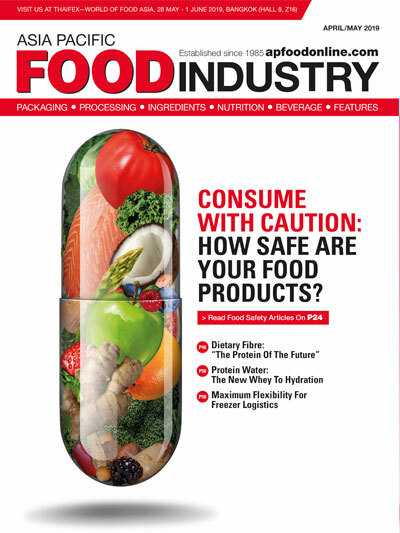 In this era of clean labelling, consumers are also looking for natural and additive-free drinks, however, this type of beverage comes with challenges for manufacturers and processers. Many organic or natural beverages, like juices, are non-homogenous and separate when left to stand. To prevent possible backlash from customers, brands are using shrink wraps to hide the contents of the bottle. 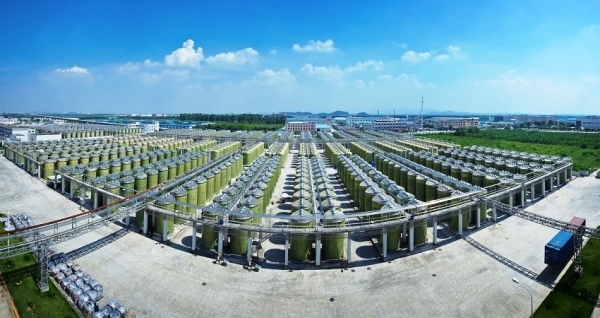 Furthermore, along the production line, manufacturers have to add agitation equipment or modify filling machinery to handle different behaviours of the natural beverages. The extra aid that sports drinks promise can offer a massive appeal to athletes. Some brands have introduced ways to target different groups of athletes through customization. Gatorade, for example, developed a product line that provided multiple drinks to be consumed at specific stages during a workout. This may increase the number of drinks purchased per customer if the products fit into the athlete’s established routine. Sustainability of products may also increase sales. By offering an eco-friendly product that produces less waste, a brand is able to reach out to consumers with growing concerns for the environment. For example, manufacturers may switch to digital printing, which is more cost-effective and environmentally friendly in the short run. Digital printers such as the HP Indigo technology used for the “Share a Coke” campaign have eco-friendly benefits like reducing energy and supplies in each round of printing. Some beverage manufacturers are also going green by utilizing eco-friendly materials like vegetable oil-based inks or water-based inks, which can be used in conjunction with digital printing technologies. These inks not only dry quickly and deliver a high-quality print, but also minimize the release of volatile organic compounds (VOCs) that are usually heavily present in traditional solvent-based inks. Similarly, UV inks “cure” at rapid rates and release minimal VOCs which allows high-quality digital direct printing on glass or PET bottles. Growth of technology has enhanced flexibility of lines, simplified and sped the changeover between different product runs, resulting in greater beverage variety. With increasing consumer demand for a wider selection of beverages, manufacturers need to swap labels out and change production more times than they had to in the past to generate the masses of personalized or targeted products. To achieve this, many manufacturers have turned to digital printing which generates diverse labels that can be prepared and applied quickly. This is more efficient and can be done within a shorter timeframe, reducing costly downtime. With digitally printed labels generated closer to the time of production, products can be delivered to the stores fresh. Furthermore, digital printing has a lower price point and can be used for shorter runs of products. Hence, more brands are moving away from traditional printing technology. Technologies that create larger and bolder imagery are also taking hold. 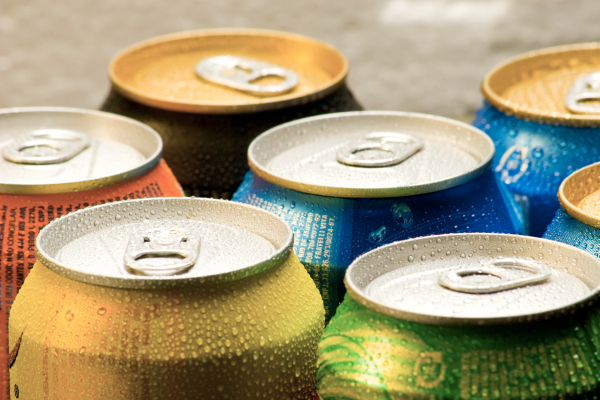 According to PMMI’s report, shrink sleeve technology is being used on cans and bottles. For example, a craft brewer might place a shrink sleeve over a six-pack. 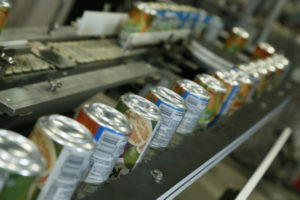 This facilitates easier packaging line changeover and benefits companies that produce a variety of beverage types or flavours in the same can shape. However, paperboard might be preferred as the outer packaging because it can retain its imagery and shape after being opened which may encourage consumers to keep the containers. On the other hand, shrink sleeves become ripped, distorted and likely discarded at the first use. Regardless, both options provide more images and information to tell a greater story about the product. 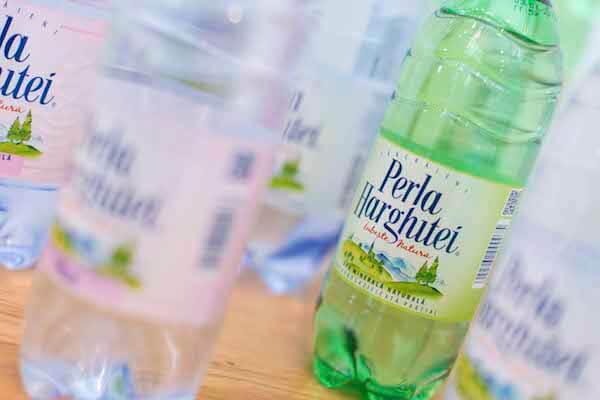 The importance of differentiation in the beverage industry is best exhibited in the bottled water market, where, arguably, the same liquid is being portrayed as an entirely different product depending on the customer toward whom it is being marketed. Brands design packaging and labelling elements to match their targeted demographic, and these determines a product’s shelf space. For example, Evian and Fiji waters present themselves as clean, natural waters that are sourced from exotic locales around the globe with the help of clear bottles and striking landscapes on the labels. Meanwhile, waters like CORE, Essentia and smartwater sell themselves as waters that boost physical and cognitive health and go the extra mile. On the other hand, brands like vitaminwater and La Croix adds flavours and/or carbonation to their products to appeal to those seeking something different from regular water. Finding a niche and standing out can also be achieved by offering convenience, such as a Capri-Sun pouch with a straw, or sports drinks with flip-top caps. It can also stem from an original packaging innovation, like Coors Light label that was created by beer giant Coors which features thermo inks that react to temperature changes. This label indicates that the beer has reached the perfect chilled temperature to drink, and also offers an interactive, fun feature for the customer. Improvements in labelling using thermo inks, light-responsive, glossy, matte and tactile inks are all a result of better coating technologies. Overhauls in can printing quality and capabilities have also occurred over the last five years, with improvements in dots per inch (DPI) increasing from 120 to 130, high-definition separation work, platemaking and printmaking. While utilizing emerging technologies and finding the right niche is crucial, manufacturers must also focus on staying relevant. Claiming ownership over a unique space in the market is only sustainable for as long as the brand is willing to adapt and adjust to consumer concerns and lifestyles. Beverage brands that distinguishes their products but are able to continuously transform its appearance are likely to quench customer demands for decades to come.